Join us for a public open house on Thursday, November 1, 2018 from 7 pm to 8 pm at Garden Plain High School (720 Sedgwick Street). 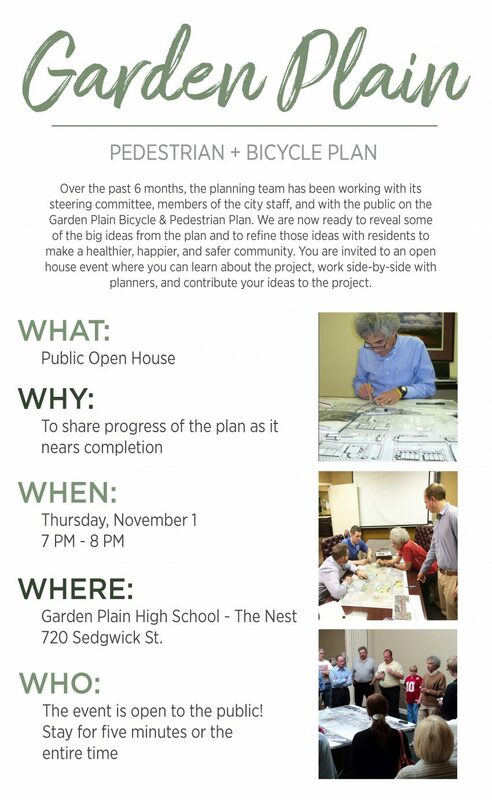 Come see the progress made on the Pedestrian and Bicycle Plan and provide your feedback. Stay for five minutes or the entire time. Thanks to everyone who came out to the Public Kick-off! 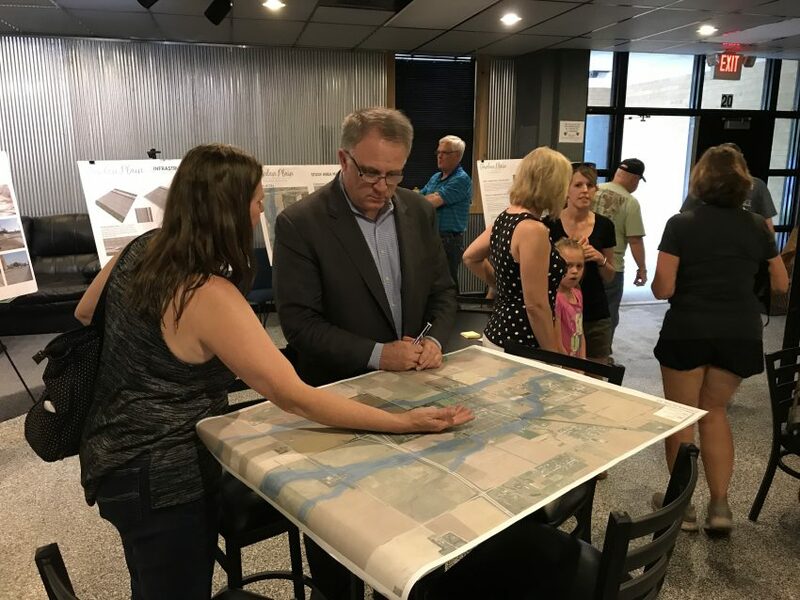 The event had great attendance, and there were a lot of good ideas shared from people who are interested in walking and biking around Garden Plain. We're looking forward to continuing with this project! If you were not able to make the meetings, you can download the Kick-off boards and see the comments from the attendees here. As always, feel free to share your ideas on this website by taking the survey, mapping your ideas, or contacting the Kimberly McCormick at cityclerk@gardenplain.com. 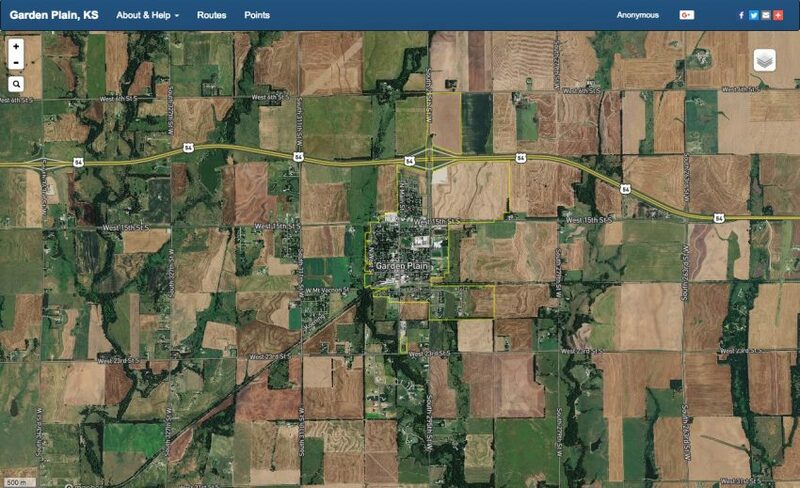 We need your input to make Garden Plain more comfortable to navigate on foot and by bicycle. The process begins with you! Thank you for participating in the Project Kick-off Open House on May 23 at the High School. We had a great turn-out, and your feedback is very important as we continue to move forward with this project. The project team will continue to work with the steering committee and the city to refine the concepts discussed at the meeting, including your input, and will develop a draft plan. We will make an announcement when that is available for public review. If you missed the Project Kick-off, you can view the display boards by clicking the link below. Another way to add your input is to take the survey by clicking here. Once again, thank you to everyone for their input, and stay tuned for the next update. "Improving walking, biking in Garden Plain and Goddard"
The City of Garden Plain and its partners have undertaken the process of developing a pedestrian and bicycle plan to guide the development of its emerging system. The plan will develop over the coming months but it all begins with you! We need you to join the conversation about bicycle and pedestrian travel and access in the City of Garden Plain. 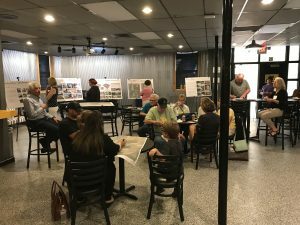 To accomplish this, the process contains two public workshops to solicit input from those who know the community best - its residents, business owners, and other stakeholders.